Pierre de Delva, MD joined STSA as an Active Member in 2014. 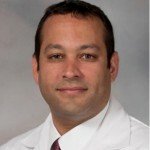 He is an Assistant Professor of Surgery and Section Chief General Thoracic Surgery at the University of Mississippi Medical Center. STSA Members Dr. Walter Merrill and Dr. Curt Tribble nominated Dr. de Delva for Active Membership in 2013 and his application was approved at the November 2013 Business Meeting. 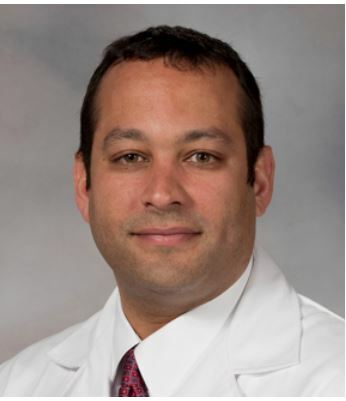 Read on to learn why Dr. de Delva joined STSA, what he values most about the Southern Thoracic, and why you should encourage your colleagues, especially younger faculty, to join our great Association. Early in my experiences with groups like the Southern Thoracic Surgical Association (STSA), I recognized that regional surgical societies serve a complimentary and yet distinct role from our national and international associations. Strong feelings of community and pride are magnified by a shared sense of responsibility to represent and highlight the region’s excellence in patient care, innovation, and service. The regional proximity brings members and their families together and fosters lasting relationships. That’s what sets the STSA apart and makes the Annual Meeting a fun event hallmarked by great science, camaraderie, and friendship. I joined the STSA to be part of this community and share in its mission of supporting Southern surgeons in pursuit of the highest quality patient care, education, scientific achievement, collegiality, and life balance. As a physician who did not train in the South, I am looking forward to the meeting in Tucson. It will be an opportunity to meet other cardiothoracic surgeons, find collaborative opportunities, and make new friends. I was encouraged by several of my mentors to join STSA and I hope that you will do the same for your junior partners, residents, and students. The strength of any organization is its members. The STSA is living proof of that principle. I am very excited to be a new member and join this great organization. Visit www.stsa.org/membership to learn more about STSA membership. Contact STSA Headquarters at stsa@stsa.org or 800.685.7872 with questions about membership. Active, Associate, Resident, and Student Membership applications are accepted and reviewed each fall.